One fear it seems most authors share is the fear of massive cuts to our manuscript. We're fairly comfortable with normal revisions, but the thought of chopping off 1/3 of the story we've lovingly written...Yikes! We welcome author Holly Schindler to the blog today to share advice for when extensive revisions are necessary and how to approach them. Thank you, Holly! In the beginning, I’ll admit, it was hard to kill my darlings. Really hard. As time went on, it became far easier to whack into a manuscript. Too easy, at times. I’ve been guilty of cutting into a project after initial feedback when it would have been better to hang back a while. I’ve also been guilty of cutting too deeply into a project during revision—doing far more whacking than a revision called for. So how do you know when hitting the “Delete” key is a good idea? What are the signs that you need a more extensive revision? 1. YOU’RE TAKING THE BOOK INTO A NEW GENRE. Just last winter, I had a discussion with my editor regarding my YA currently under development with HarperCollins. We both agreed the book needed to be taken into a new genre. During the revision process for previous books at other houses, I usually approached revision thinking, “This house bought this book because they loved it. I don’t want to cut what they originally loved!” I was more hesitant to hit my “Delete” button. This time, though, I wound up cutting 45K from a 75K-word manuscript during the first few days of rewriting. I will say that I was sure to send my editor a letter detailing my plan of action BEFORE I started rewriting the book. Hashing the details out with your editor beforehand (via phone or email) can really give you the confidence you need to start cutting. Not under contract? If you’re on your own and want to move a WIP into a new genre, be sure to focus on the plot—the action is the most important part of moving into a new genre. 2. YOU’RE TAKING THE BOOK INTO A NEW AGE CATEGORY. I did this with both of the books I released in ’14—FERAL, my YA, was originally drafted as an MG, and THE JUNCTION OF SUNSHINE AND LUCKY, my MG, was originally drafted as a picture book. There are all sorts of reasons to bump up (or down) in age categories. In my case, dark descriptions made FERAL too edgy for MG, and editors indicated that folk art, the subject matter of THE JUNCTION, was too advanced for picture book readers. But regardless of the reason(s) for taking the book into another age category, the PROCESS of rewriting should really be focused on your main character. In juvenile literature, the main character is the driving force—we are never the same person at thirteen that we are at seventeen. Once you squarely root your main character in the new age category, the action, dialogue, and plot will follow. 3. YOU’RE BRINGING IN A NEW THEME. Authors hear so much advice while a book is on submission; you have to trust your gut. When your gut is telling you that your book needs to come into a new genre, age category, or needs a new message, you can also feel better about hitting your own “Delete” button. During rewrites such as these, your scissors can often be more powerful than your pen. 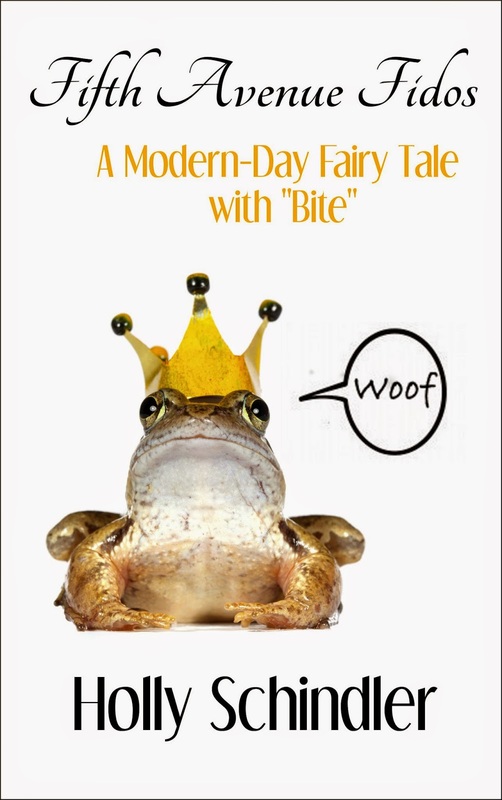 Once upon a time, in a magical metropolitan kingdom…OR: When a mutt from Queens meets a purebred Upper East Side New Yorker, it takes man’s—and woman’s—best friend to convince them what they feel is more than puppy love. Mable Barker, a hilarious, good-natured sweetheart who is always the pal but never the girlfriend, endures nine horrendous months of bouncing between lackluster jobs in Manhattan (and suffering unrequited love) in her unsuccessful attempt to find her one true talent. So when she meets Innis, the ill-tempered Fifth Avenue Pekingese, she assumes her dog-walking days are numbered, too; soon, she’ll be heading back to Queens brokenhearted, tail tucked between her legs. But Innis belongs to the adorable yet painfully shy young veterinarian, Jason Mead, a man whose awkward ways around women have him dreaming not of finding love for himself but of playing canine matchmaker—breeding Westminster champions. When Mable and Jason meet, romance is officially unleashed: they find an instant connection and shared goal, as it appears that Mable could very well have what it takes to be a professional handler, soon to be seen holding Innis under a banner labeled, “Best in Show.” As Jason and Mable get closer to putting a new twist on the term “dog lovers,” outside forces—Mable’s overprotective brothers, a successful wedding planner with her eye on Jason, even the theft of purebred pups from Jason’s Fifth Avenue apartment building—all threaten to come between them. Will Mable and Jason simply let their burgeoning love roll over and play dead? Or will they rally to make sure Innis emerges as the leader of the pack? Brimming with humor and endearing characters, Fifth Avenue Fidos offers more than a simple, sweet romance. Conventions of love stories and fairy tales merge to illustrate that each modern-day princess has her own happily ever after—with a prince, another princess, a four-legged furball, or a brachycephalic dragon…Schindler weaves a heartwarming story about the loves that help us realize our dreams, and vice versa, about the dreams that bring us to our lives’ most powerful loves. Holly Schindler is the author of four traditionally published books; her work has received starred reviews in Booklist and Publishers Weekly, has won silver and gold medals in ForeWord Reviews Book of the Year and the IPPY Awards, respectively, has been featured on Booklist’s Best First Novels for Youth and School Library Journal’s What’s Hot in YA, and has been a PW Pick of the Week. Fifth Avenue Fidos is her first independently published book. She is owned by a Pekingese named Jake and can be found working on her next book in her hometown of Springfield, Missouri. She can also be found at hollyschindler.com.